Freezing lets you store food over long periods, but there are some risks. Namely, freezer burn, which most commonly effects meat and poultry. This condition occurs when water molecules in the food freeze out, forming an icy skin. Although freezer burn doesn't make food unsafe to eat, it can ruin the taste and texture. When taking food out of the freezer, check it carefully for patches of dryness, discoloration or wrinkling. A frosty coating of ice crystals is also a sign that your food may be freezer burned; scrape off the frost and look for telltale dry patches. The exact color of freezer burn varies depending on the food. For example, it tends to be white on poultry and it's a dark or grayish-brown on meat. 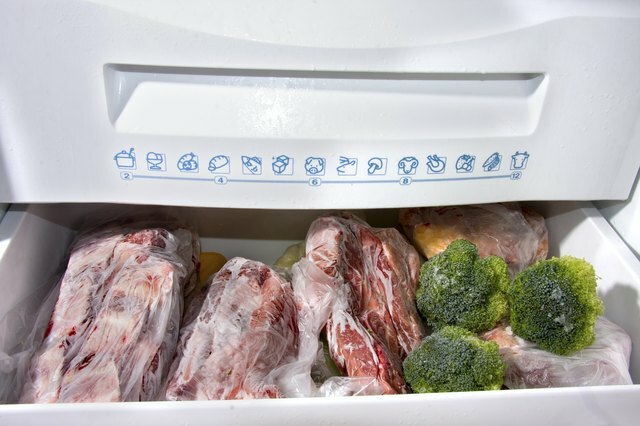 The key to preventing freezer burn is to package your food securely before freezing. Freezer burn occurs when the food comes into contact with the colder air inside the freezer, so minimize it by limiting contact with air. 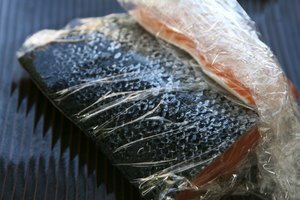 Ordinary plastic wrap won't do the trick, so wrap your food in aluminum foil or seal it in an airtight freezer bag or plastic container. Try to get as much air as possible out of the wrapping before sealing them. If you're packaging an item that's already in a plastic wrapper, simply put your new packaging around it as an additional layer. Even the most securely-packaged food won't keep indefinitely in the freezer. To avoid freezer burn, be sure to thaw and cook within the recommended time period. 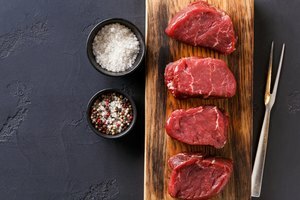 For instance, you can keep a steak in the freezer for six to 12 months; by contrast, eat frozen hot dogs within one to two months of freezing them. Again, note that this doesn't mean these foods are unsafe after this time period is up, it merely means that they may not be at their best quality. Freezer burn tends to dehydrate and damage food in the areas most exposed to air. Unless an item has been in the freezer for a very long time, some or even most of it should still be fine. Cut away and discard the affected sections and you should be able to enjoy the rest. You may even be able to use freezer-burned meat in soups, stews or chili, where the loss of flavor and texture won't be as noticeable. Library of Congress: Everyday Mysteries -- What Is Freezer Burn? 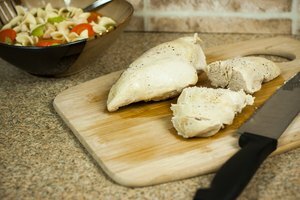 Empire Kosher: How Can I Tell If My Poultry Is Freezer Burned?